How do Willbreaker and Pongify/Rapid Hybridization work together? How does Phoebe's ability interact with card names and do stolen abilities stay when she changes zones? I eagerly want your opinion! 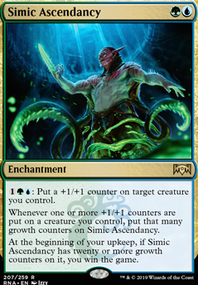 You will almost certainly need some form of interaction outside of a single Counterspell , either more counters or some general removal. 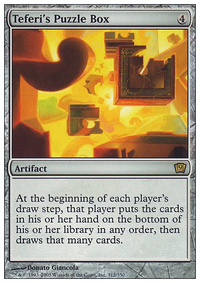 Beast Within is great, since it hits anything you need to, plus you may want a couple artifact/enchantment destruction cards ( Krosan Grip is a good one, and although it’s a sorcery Broken Bond would fit right into the landfall theme). 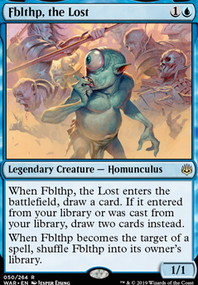 Personally I dislike counterspells so I don’t usually run them, but you could run a few more of those if you wanted. 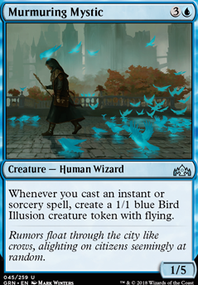 If you want more traditional creature removal, Pongify , Rapid Hybridization , and Reality Shift are some personal favorites in blue. Green doesn’t have much in the way of directly killing creatures. These are the kinds of cards people often forget about, but they’re very necessary if you want to succeed. There are tons I didn’t mention that are good cards, these are just some of my favorites. Good luck! First, I just noticed. 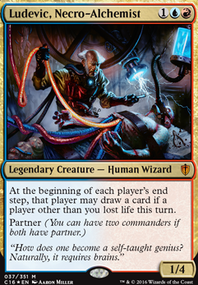 Tinker is banned in EDH. That may not matter in your meta, but I just thought I'd mention it. It really depends on your meta as to what you need to do the first few turns. With my playgroup, building up mana is a good way to go, so using mana rocks and spells to get lands out are essential. You've got that down. If you're needing "early" game wipes, something like Evacuation or Chain Reaction aren't bad. 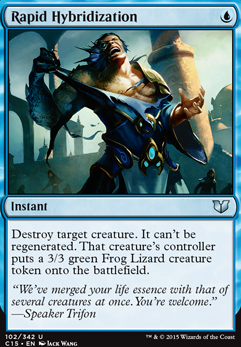 Pongify and Rapid Hybridization are good cards for spot removal, and Reality Shift is still one of my favorite removal spells in all colors. If you wanna go with the tribal a little more, you could go with something like Obelisk of Urd , though I personally would stay away from doing that too much. 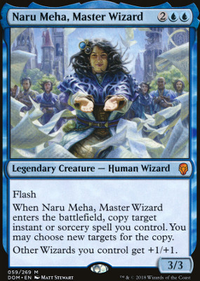 Nezahal, Primal Tide has been an all-star in all of my blue decks. He's a big drop, but he's impossible to get rid of and nets you lots of draws. I guess it really just depends on what you're wanting to build. 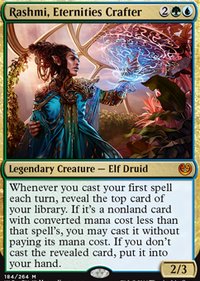 Are you wanting to combo out and win quick cEDH style, or play a little more casually, albeit powerfully?